For most of us, I would imagine, 2012 was a bit of a rollercoaster of mixed experiences. Mine certainly was. No personal tales to be told here, but suffice it to say that I took a large cup of pure joy, followed by a bitter smattering of deep sadness. Throw into the mix the odd crisis and a couple of heaped tablespoons of the old reliable stressful situations, and yes, I am guessing that many of you are nodding your heads in recognition of that familiar recipe right now. Whatever 2012 brought, [here comes the cheesy bit!] it is wise to remember that 2013 is as yet, an unspoiled page in the book of time, and as hopeful creatures, we shall creep, leap, stagger or dance into it with all the blind optimism that never fails to invoke some much-needed anticipation at this time of the year. Not just from a writing perspective, but certainly intrinsic to it, reflection must be a component of the process of moving forward; knowledge gained to put into practice what you have learned, realising what you need to change, nailing down what you most desire, and naming what you hope to achieve in the coming twelve months. The voyage of 2013 is about to begin, and though I cannot control many elements of it, it will not go uncharted…regarding all of the above, I think I have it sussed. I know what I want to change, I know what I most desire, and by jaysus, I know what I want to achieve. And only Mother Faith and Father Time will tell the outcome. I’ve done okay with the scribbling in 2012. Have placed well in some writing competitions, and was shortlisted for an Irish Film Board Gearrscannain Award. I got into the Second Round at the Austin Film Festival [Couldn’t manage the trip over, but I’ll get there in person this year, no stopping me!] 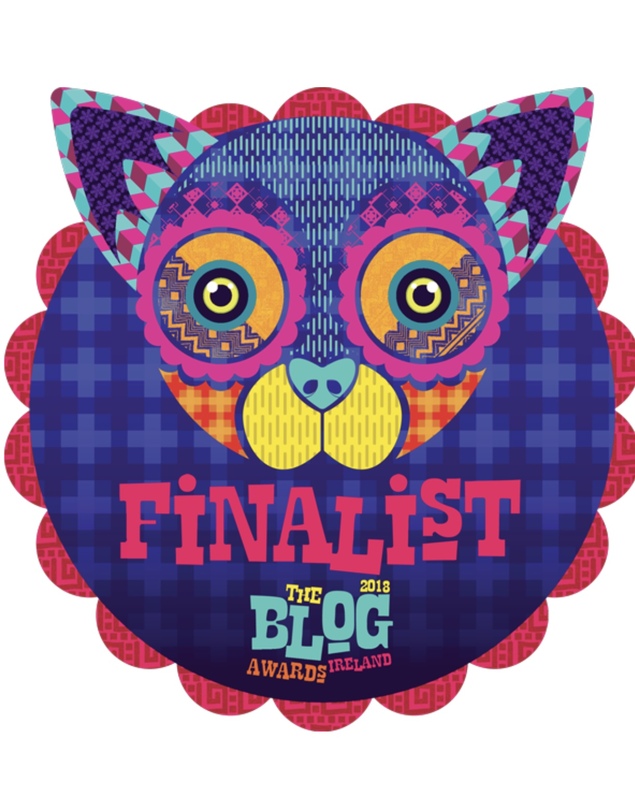 and was shortlisted for best Arts and Culture Blog at the Blog Awards Ireland. I continued to work towards the development of two feature scripts, LADY BETH, and THE CAPTIVES. I’ve continued to plug away with the family fantasy feature script, PIXER KNOWS, and have seen two of my short scripts, ADAM, almost locked, and IN RIBBONS, due to begin shooting in April, 2013, take leaps in terms of development. I look forward to working on these projects, collaborating with some talented, like-minded and exciting people attached. And then, there is always the novels, three of them..but enough about them for now. BACK UP YOUR FILES, PEOPLE! This entry was posted in On Writing, She blogs on... and tagged 2012, ADAM the short film, Austin Film Festival, In Ribbons short Film, Irish Film Board Gearrscannain Award, Pixer Knows Fantasy Feature Script, Review of 2012, screenwriting, The Captives Feature script, writing. well said Caroline. Here’s to a very successful 2013 ! Nice work, Caroline! Here’s a very productive 2013! Thanks, Eilis…and back at ya!